Four months of training has finally culminated into the registration for my first triathlon! 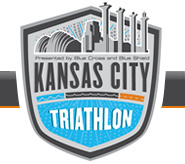 My first official triathlon will be the Kansas City Triathlon on May 22nd. I decided to go for the international distance. This distance means swimming 1500 meters, biking 25 miles, running 6 miles. If you've paid attention to my site, you'll notice this wasn't originally on the race list. I've decided that I'm ready and hopefully will be entertainment for family who are visiting. This triathlon is actually relatively new to Kansas City. It is the third running but from what I have read this is put on very well. So in 55 days this I will become "Scotty Trid!". I considered it, but can't wait, so am doing the Heritage Park/Bike Source Tri the weekend before. See you at the Tinman! Make sure you get a wetsuit! That water is COLD that time of year! Good luck!